As fall begins, Observation Baltimore surveyed over 1,200 Marylanders to gain insight on their thoughts, feelings and experiences with regard to dating. We first obtained relationship status and found of those surveyed, the majority (38%) are married, followed by 22% who are single and dating, 20% are in a committed relationship, with single and not dating following close by with 17%. 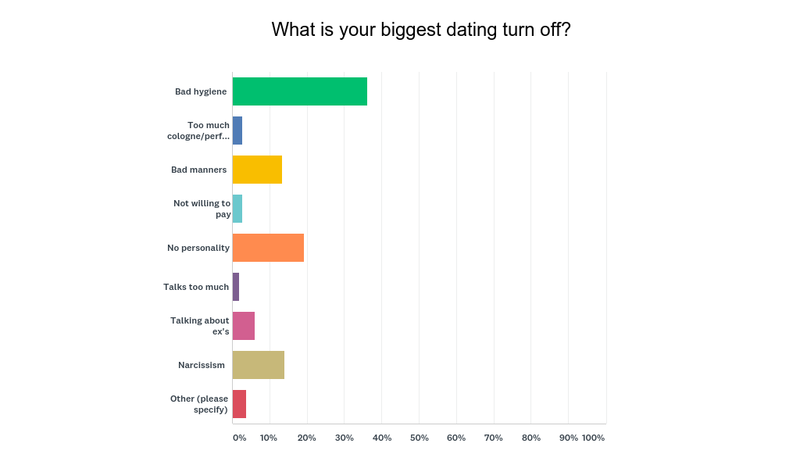 Though many of our participants are “taken,” we asked for their opinion from their dating days. Our single respondents need not worry, there are still a significant number of completely single fish in the sea. When asking about each participant’s preferred method for finding a date, an overwhelming and absolute majority (59.5%) prefer to meet in person. Meeting through friends trailed behind at 25.5%, and though dating online has become a growing trend nationally; this method only made up 12.5% of our participants. To gain a better understanding on dating goals, most definitely wanted to find their true love or a serious/exclusive relationship; however, those looking for some fun- not to fear, a number of Marylander’s still express a significant amount of interest in looking for friends and fun! Obviously dating can’t always be easy, and the vast majority of the participants indicated it is just too difficult to find their type, or more specifically, the right person. If you are still looking, keep at it though- there are over 7.5 billion people in this world, and it is very unlikely your soulmate is going to live right down the block. Before going out on a date, feelings can be all over the place. We asked exactly what people feel before venturing out on a date. Perhaps not surprisingly; nervousness topped the pack at about 47%, followed closely by excitement at 35% and then cool calm and collected trailing at 15%. Though some people are just naturally more prepared and confident for dates, it is 100% normal to feel nervous, excited or a combination of both! When asked about dating turnoffs, bad hygiene came in first followed by bad breath and the date not smelling good. Be cognizant of body odor-bathe and smell good before a date! These turnoffs were followed by no personality and then narcissism. Try your best to express interest in the date (you both took time out of your lives to meet up) and it is probably safe to advise one not come across as overtly egotistical. 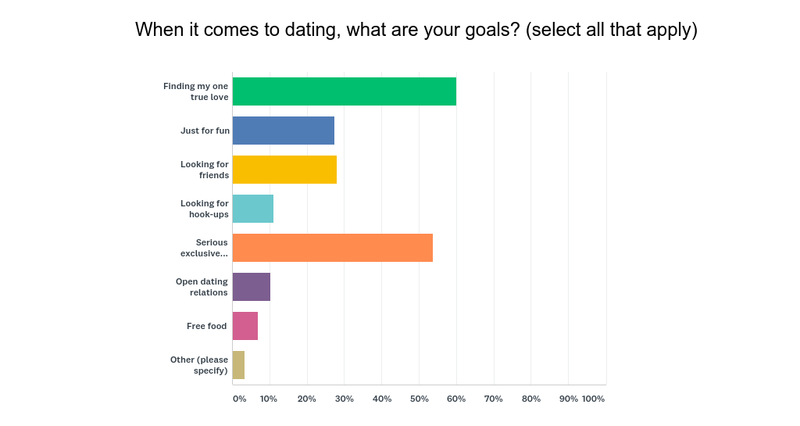 As we asked those surveyed to describe their best and worst dating experiences, we wanted to present findings in terms of commonalities to try and make the analysis more objective and helpful to readers. The best experiences often involved being surprised at a fancy restaurant for dinner with lively conversation, followed by a great night out on the town. The worst experiences much of the time involved a date with constant talk of previous relationships, being on the phone incessantly, and simply put, the date smelling. Take note here- generally speaking, your date is not going to want to hear about your ex all night and would like to actually get to know you more, so put the phone away. Of course, as discussed before, be presentable, clean and groomed for your date. This really can make all the difference! Hoping that people will be safe, we asked those we surveyed if they researched their date before meeting them. A resounding 71% get their information on social media, around 23% do not research at all, and 18% actually go so far as to do a background check (MD state judiciary case search, online background checks etc.) Though the method of a background check might come across to some as a bit much, it is actually pretty wise considering many people who are dating might not know their date much or at all. With online dating becoming more widespread and popular throughout the country, we wanted to take a look at the success of this method. Almost 60% developed a committed relationship from dating online where only about 40% did not. Whether you date online or not, we definitely found it can be successful, based on this question’s responses, and reviewing answers on best dating experiences. In conclusion we gained some very interesting insights and analysis on dating in the state of Maryland. We hope some of these findings can help you learn more and possibly navigate the quite complicated and eclectic world of dating yourself. This entry was posted on Wednesday, November 7th, 2018 at 2:08 pm. Both comments and pings are currently closed.